A Favorite Barra Landmark for More Than 20 Years! 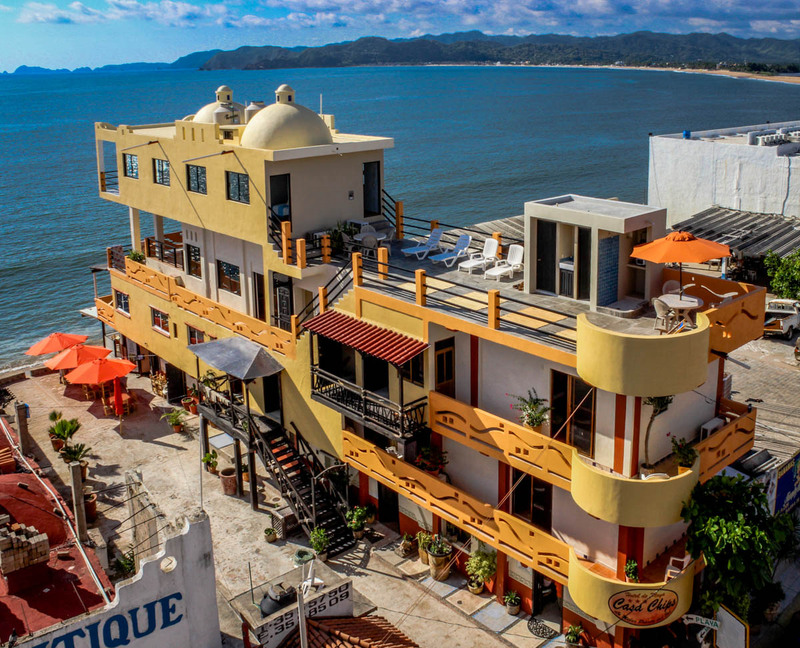 Our charming, 10-room beachside hotel, centrally located in the small fishing village of Barra de Navidad, has been recently renovated keeping the requirements of our guests in mind. Hotel Casa Chips offers the best of both worlds – traditional Mexico décor is complemented by modern amenities to create a distinctive, family-owned beachside hotel situated in one of Mexico’s most popular tourist destinations. Barra de Navidad, Barra to locals, has a population base of 5,000 and is proud to offer vacationers pleasurable beach vacations in a popular Pacific West Coast setting. 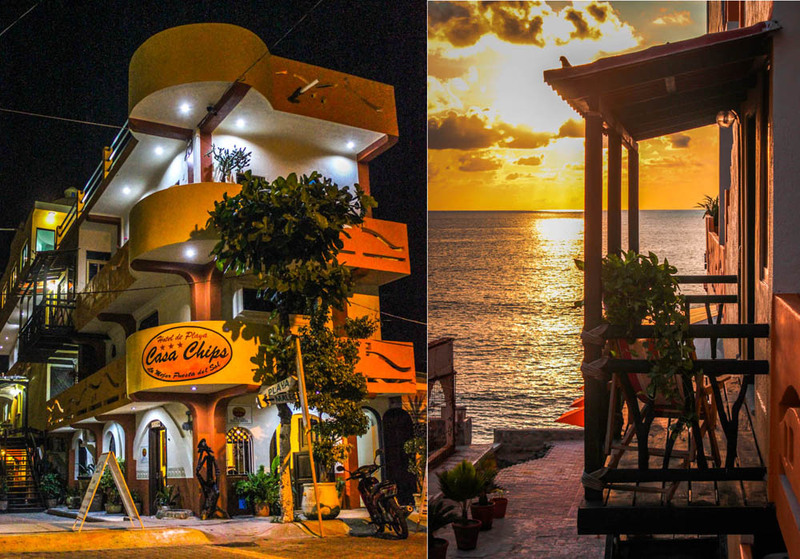 Barra’s tourist shops, galleries, first-rate restaurants, bars, are all within easy walking distance of Hotel Casa Chips. Travelers seeking a slow easy pace will appreciate the fact that downtown Barra is designated pedestrian and cyclist friendly. As a guest of Hotel Casa Chips you will have plenty of oppportunity to Connect with Nature! Barra, and the nearby area, boast beautiful virgin beaches, and jungles flourishing with palms, tropical flora and fauna alive with colorful, exotic birds and butterflies. Fishing, diving, hiking, biking, birding, horseback riding, exploration and eco-tours are within easy reach and Barra has become a surfer’s paradise! After a fun-filled day, vacationers return to Hotel Casa Chips with nothing to do but enjoy the soothing sound of gentle ocean waves and spectacular panoramic displays of pelicans, egrets and frigates floating through Barra’s dramatic, tropical sunsets. 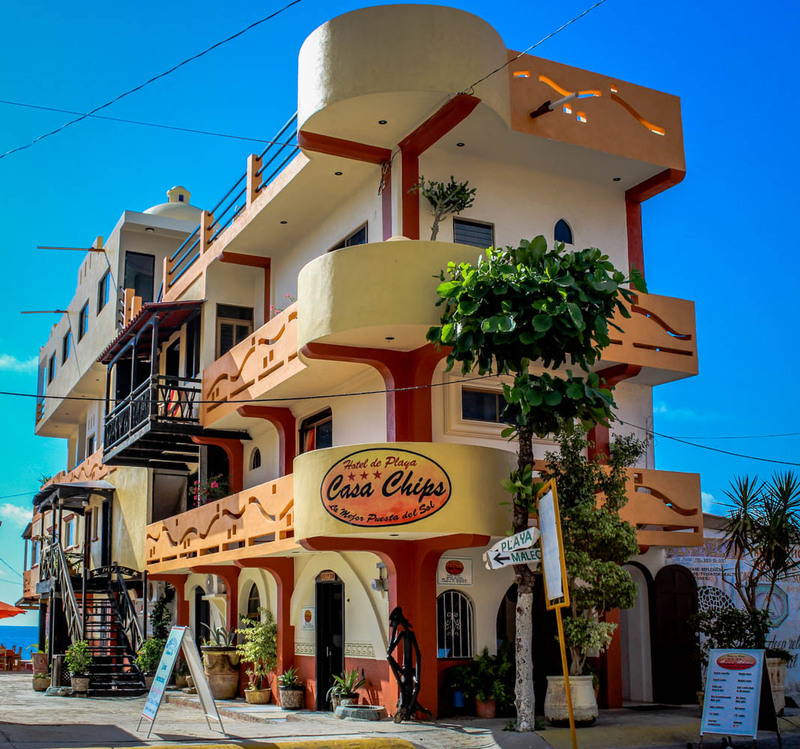 Over the past 20 years, Hotel Casa Chips has hosted countless international vacationers seeking the culture and pace of a quaint, relaxed Mexican beach town. Return home from your fun-packed adventure in paradise with great vacation photos and memories to last forever! We’re Easy to Find – Right on the Beach!